For a country to grow, the government should actively promote business enterprises. 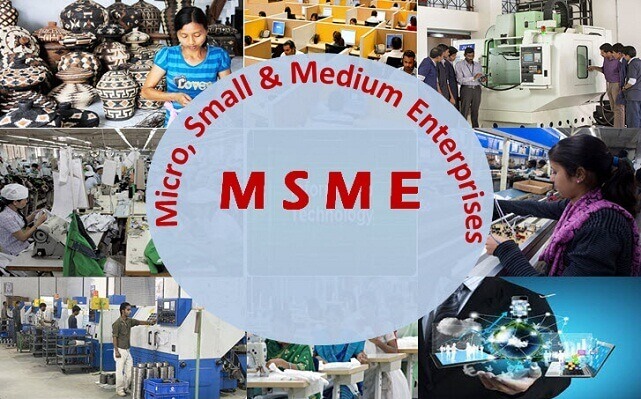 Among business enterprises, the Micro, Small and Medium Enterprises (MSME) deserve special attention. Though MSMEs are small investment enterprises, but their contribution to the Indian economy is very significant. the investment in equipment for enterprises engaged in providing or rendering of services. Note: The investment in plant and machinery is the original cost excluding land and building and other items specified by the Ministry of Small Scale Industries vide its notification no. S.O. 1722 (E) dated 05.10.2006. With the enactment of MSMED Act 2006, the paradigm shift that has taken place is the inclusion of services sector in the definition of Micro, Small and Medium Enterprises, apart from extending the scope to Medium Enterprises. The Micro, Small and Medium Enterprises occupies a strategic importance in terms of output (about 45% of manufacturing output), exports (about 40% of the total exports) and employment (about 69 million persons in over 29 million units throughout the country) based on the Planning Commission, 2012. It is observed worldwide that as income increases the share of the informal sector decreases and that of the formal SME sector increases. Japan – SMEs employ 70% of the wage earners and contribute 55% of the value added. Thailand – SMEs employ 60.7% of the population while contributing 38% to the GDP. China – SMEs contribute to over 68% of the exports – in the last 20 years created more SMEs than the total number of SMEs in Europe and the US combined. Note: In China, an industrial SME is defined as having up to 2,000 employees, while a small business has less than 300 employees and a medium sized business has employees between 301 and 2,000. What is the Importance and role of MSMEs in Indian Economy? In India, capital is scarce and labor abundant. MSMEs are thought to have lower capital-output and capital-labour ratios than large-scale industries, and therefore, better serve growth and employment objectives. The MSME sector in India has grown significantly since 1960 – with an average annual growth rate of 4.4% in the number of units and 4.62% in employment (currently employing 30 million). Not only do MSMEs generate the highest employment per capita investment, they also go a long way in checking rural-urban migration by providing people living in isolated areas with a sustainable source of employment. Non-traditional products account for more than 95% of the MSME exports (dominating in the export of sports goods, readymade garments, plastic products etc.). Since these products are mostly handcrafted and hence eco-friendly, there exists a tremendous potential to expand the quantum of MSME led exports. Also, MSMEs act as ancillary industries for Large Scale Industries providing them with raw materials, vital components and backward linkages e.g. large scale cycle manufacturers of Ludhiana rely heavily on the MSMEs of Malerkotla which produce cycle parts. MSMEs are instruments of inclusive growth which touch upon the lives of the most vulnerable and marginalized. For many families, it is the only source of livelihood. Thus, instead of taking a welfare approach, this sector seeks to empower people to break the cycle of poverty and deprivation. It focuses on people’s skills and agency. However, different segments of the MSME sector are dominated by different social groups. Promoting competitiveness and productivity in the MSME space. Making the MSME sector innovative, improving technology and depth. Enabling environment for promotion and development of MSMEs. Improved managerial processes in MSMEs. During the post-Independence period, small firms were expected to play an important role in the development process, especially in absorbing surplus labor and achieving an equitable income distribution. This is the traditional stylized role assigned to small industries. At the beginning of the industrialization process, flexibility in production and the ability to offer differentiated products allow smaller firms to grow rapidly. Later, large-scale firms come to dominate the size distribution, making up a greater share of output, employment, and value-added because of scale economies, managerial efficiency, better access to finance and infrastructure, and a favorable tariff structure. The growth rate of MSME, on an average, has declined considerably in terms of units and even employment but has improved marginally in terms of output and exports, in the post-liberalization period compared to the pre-liberalization period. This could be probably due to – (a) With the threat of competition, new MSME units would not have come up as significantly in the liberalization period as compared to the pre-liberalization period (b) The new MSME units that came up after liberalization may have been much more capital intensive than those that have come up in the past – with some proportions of the existing MSME units having modernized themselves to rely less on labour and also to take advantage of developments in the global market (c) Unable to face the competition some MSMEs exited the market, thereby affecting MSME employment and output initially. However, though it appears that the MSME growth performance (in terms of employment, output, and exports) might have suffered initially but it has been able to recover impressively subsequently in the decade of 2000s. The share of the registered MSMEs in India’s GDP more than doubled during this period and its share in total organized sector employment increased to 34% during the same period. Although the share of registered MSME exports declined sharply initially, it bounced back to 12% in 2006-07. 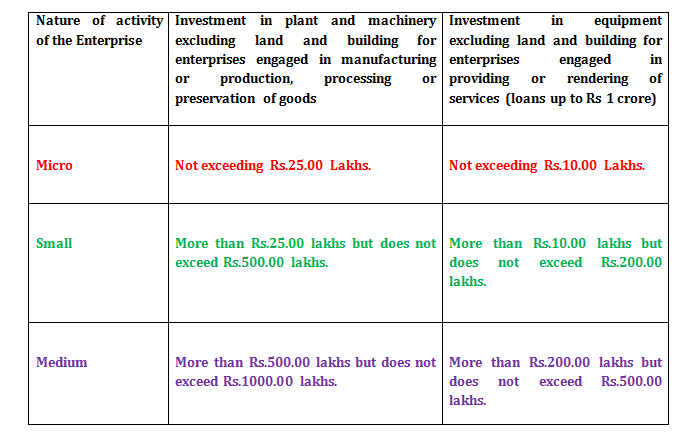 The improved economic health of registered MSME sector is reflected in another parameter i.e. industrial sickness. Sickness in the registered MSME sector has declined both absolutely and relatively. This may be the outcome of improvements in management deficiencies, insufficient financial control, research and development, obsolete technology, inadequate demand, shortage of raw materials, infrastructure bottlenecks, etc. Ancillarisation – the promotion of inter-firm linkages between large firms and MSME through subcontracting and ancillarisation in both public and private sectors has been an important dimension of India’s MSME policy. Any growth of ancillarisation and sub-contracting would be advantageous to the MSME sector by way of assured marketing, covered technical assistance, finance, and supply of raw materials and training. During this period the percentage of ancillary units increased from 5 percent. Note that however a significant proportion of MSME subcontracting and ancillarisation are informal in nature. The growing inter-firm linkages, formal as well as informal, would have benefited the economic performance of MSME sector. The degree of internationalization – world over, an export strategy has been the primary foreign market entry mode adopted by MSMEs in their internationalization efforts – this has been observed in the Indian context as well. At the national level, several factors contributed to the increasing trend of MSME internationalization like – structural shift in the composition of MSME exports from traditional to non-traditional items, modes of entry such as MNCs and e-Commerce etc. Though MSMEs were recognised as important for employment generation and equitable distribution of income from the earliest days of Indian Independence, it appears that the objectives of policies stressing the role of MSMEs are not being realised. Since independence in 1947, especially since the late 1950s, development has been wide-ranging, both in terms of programs and regions. Policy measures included inter-alia fiscal concessions, subsidized and directed bank credit, and technical and marketing support, along with reservations of products for exclusive production by the MSME sector. These policy measures were in tune with the other policies such as the domestic investment and foreign trade policies that became more restrictive over the years. Since the mid-1980s there has been a gradual turnaround in policy, including reforms in the tax system and liberalization of import policy. The shift in MSME policy emphasis from protection to the promotion of competitiveness began with the introduction of an exclusive policy for MSME in 1991. Since then, the policy support in the 1990s and early 2000s has been large to enable the MSMEs to overcome key challenges to their performance and growth, namely, finance, technology, and marketing, among others. To operate these programs and to monitor their progress, new agencies and institutions have been set up, and the existing ones strengthened at the national, regional, state, and lower levels. There is also a special bank for MSMEs – SIDBI. The SSIs have their own associations and are also represented in the national and state level associations of large-scale industries. The policy of reserving products for exclusive manufacture in the small-scale sector was started in 1967 with forty-seven items; the list of reserved items rose to 873 in 1984. The number of items on the reserved list for the SSI sector was brought down to 836 by 1989. The pace of reforms accelerated after 1991: average tariff rates have been steadily lowered, quantitative restrictions have been removed, and domestic investment policies have been liberalized. Over time, the number of items on the reserved list has also been reduced and stands at 605 in 2005. With liberalization, since all the items on the reserved list can now be imported, MSMEs face competition from foreign enterprises even though large scale industries in India cannot produce these products. The Censuses of the SSIs also suggest that the policy of reserving goods for production by SSIs has not been very effective. The number of units making reserved products was small compared to the overall size of the MSME sector, and the reserved products account for a small share of the total value of output in the MSME sector. Also, it appears that the export performance of India may have suffered because of the reservation policy. Most growing economies witness a changing structure of exports, with a high growth of exports of labour-intensive and resource-based industries. The export structure of India has not changed much in the last two decades, and this may be because many commodities in the potential high-growth category come under the reserved list. What are the challenges of MSME? Most of the unregistered MSMEs would predominantly comprise micro enterprises, particularly confined to rural India, operating with obsolete technology, limited access to institutional finance etc. And there is a need to transform the huge unregistered MSME into registered MSME. Need to improve the competitiveness of the overall MSME sector. Design as a market driver. Energy inefficiency and associated high cost. Standardization of products and proper marketing channels to penetrate new markets. The definition for MSMEs must be updated – considering inflation and availability of better technologies since the last change in 2006. As part of the National Manufacturing Competitiveness Programme (NMCP) – 10 specific initiatives were taken to enhance the competitiveness of the entire value chain of the MSME sector. Limited Liability Partnership (LLP) Act, 2008 was introduced to enable early corporatization of MSMEs and tap the capital market for fund raising. Accordingly, MSME platforms are created in BSE and NSE in 2012. To develop a roadmap for the development and promotion of MSMEs, a task force was created by the Prime Minister of India in 2009. The Task Force, which comprised, among others, six specific theme-based sub-groups (on credit, marketing, infrastructure, technology, skill development, exit policy, labor, and taxation) submitted its report in 2010 suggesting: (1) Immediate policy measures (2) Medium-term institutional measures (3) Legal and regulatory structures to create a conducive environment for entrepreneurship and growth of MSMEs. The Inter-Ministerial Committee for Accelerating Manufacturing in Micro, Small and Medium Enterprises made recommendations on – (a) the promotion of start-ups (b) facilitating operation and growth (covering credit, technology, and marketing) (c) closure and exit (d) labour laws and regulations. 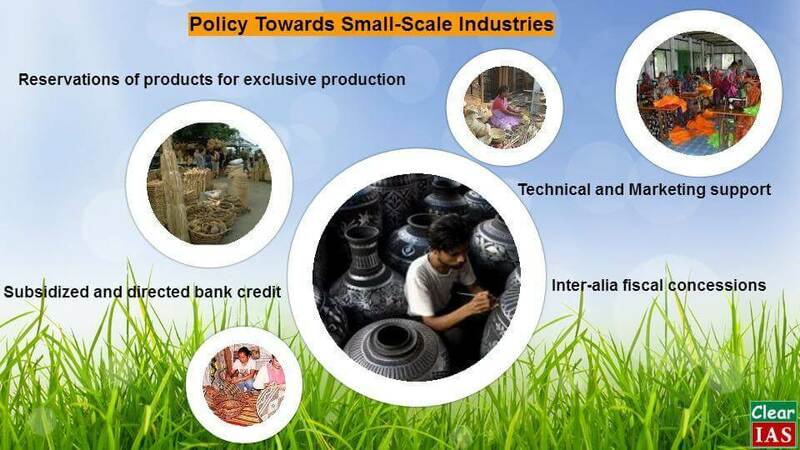 Thus, the emerging focus of India’s MSME policy aims at covering the entire lifecycle of MSMEs to ensure a healthy, vibrant and competitive MSME sector. Plz tell me how to clear UPSC.